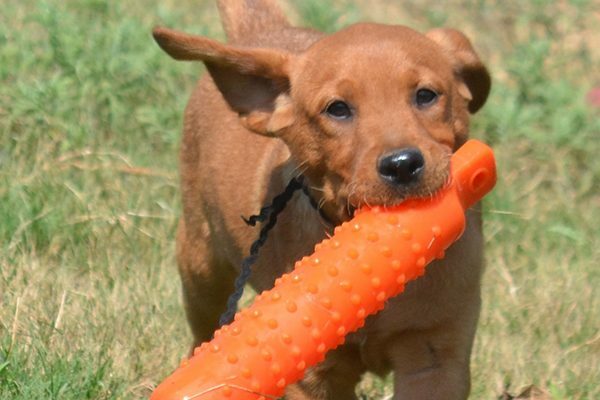 Of course Labrador Retrievers are among the best dogs for first-time owners! Photography courtesy Anna Wallace, Liberty Run Kennel. I’m generally a gregarious, social and sporty breed. My predecessors were developed by Newfoundland fisherman off the Labrador Sea shores. We were then bred in Britain to hunt and retrieve. Enthusiastic, smart and friendly, I’m the most popular breed in the world for good reason. But before I brag more, I’ll remind you that all dogs benefit from training. No dog (not even Lassie!) is born with an obedience title in place. But we Labs give first-time dog owners a generous pass as they navigate the dog/human relationship. More intense or sensitive breeds, for example, may become highly nervous if their first-time dog owners aren’t consistent. We let most mistakes roll off us. Every day is a new day! 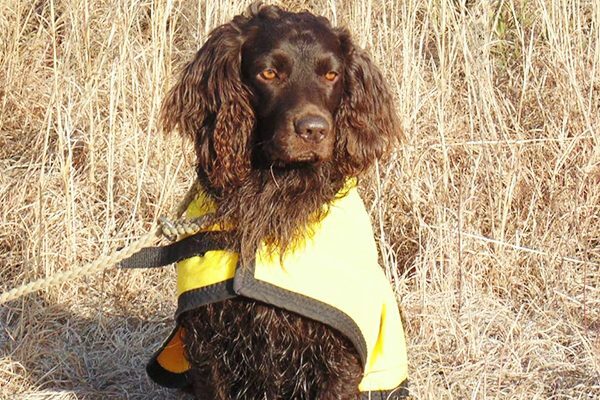 First-time dog owners might do well with Boykin Spaniels. Photography courtesy Hollow Creek Kennel. I, too, am in the sporting group. We Spaniels are renowned for our energy, awareness and generally gentle disposition. No one with any sense, after all, buys a Spaniel as a guard dog! We were established in South Carolina by Whit Boykin, a sportsman, planter and land appraiser who bred us as versatile hunting dogs. He initially used a rescued dog named Dumpy for breeding stock, along with Retrieving and Spaniel breeds. Boykin bred us small and compact, fitting easily in boats for hunting trips. In time, we became known as the breed that wouldn’t rock the boat — and that designation applies to home life, too. We’re renowned for our energy (we all need exercise) but also for our outstanding friendliness and biddability. That’s code for: We’ll try to do what you want, even when you haven’t quite figured out what you want! Luckily for you, while you work with the instructor to navigate dog training, I’m rather magnanimous. 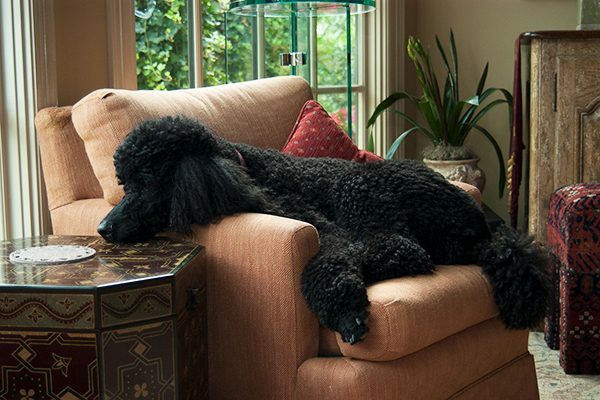 Standard Poodles are among the best dog breeds for first-time owners! Photography courtesy courtesy Bill Wright Photography. All varieties of Poodle (Standard, Miniature and Toy) are remarkably intelligent dogs and especially easy to train. But let’s talk specifically about me, the Standard Poodle. I think I match up particularly well with new dog owners. I’m a beautiful Brainiac and far from fragile. I was bred originally in Germany as a working water retriever. My classic Poodle clip allowed me to move through water easily, while the longer patches protected my vital organs and joints. I excel in obedience, so I’ll do my part to make us look good in puppy class. And while I thrive on activities, I won’t demand nonstop action, or bark needlessly. I also don’t have an overwhelming protection drive, or the strong work drive of some herding breeds such as the (don’t quote me!) Australian Cattle Dog. We also don’t shed much so we’re a possible match for allergy sufferers. Goodness, now that I think about it: we’re rather perfect! Havenese dogs might do well with rookie dog parents. Photography courtesy Joan Esworthy. Charming and spirited, we’re famous for offering loving friendship to our families, whether they’re experienced or not. My history is one of companionship; no big interest in herding, retrieving or guarding. Our work is bringing joy to man. My ancestors likely came to the island of Cuba via trading ships. We became highly popular with Cuban and European aristocracy, as well as the regular folks. These days, we’ll enthusiastically play any games our families devise; we aren’t fussy about how we spend time with you. We also have a knack for learning, but aren’t so mightily focused or intense that we make mountains out of molehills. That comes in handy when you’re winging it as you go! Yes! 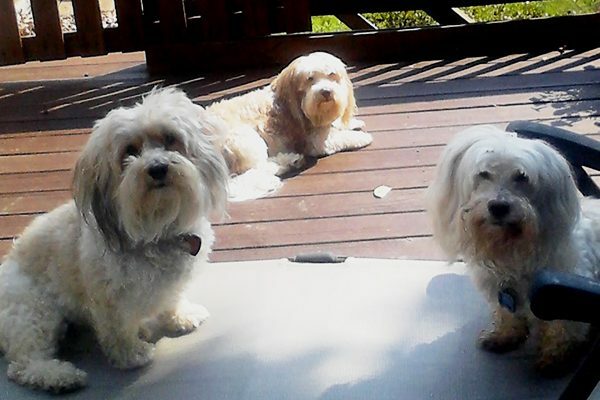 Terriers like the Dandie Dinmont Terrier can be a match with first-time dog owners! Photography courtesy Cathi Tower Chriscaden. Surprised to see a Terrier on this list? It’s true that we Terriers are rather plucky and opinionated (we believe these are fantastic traits!). Although we think for ourselves, we can match up well with spunky owners, even if they’re rather inexperienced. I’m courageous and bold like any good Terrier, but I’m also relatively calm and relaxed (at least indoors when no prey is in sight). Just don’t equate calmness with weakness or meekness. After all, I was bred in Scotland to go to ground for prey such as badgers and otters — that’s tough work. Our elongated bodies and short legs were developed specifically for down-and-dirty hunting. But that same hardiness also means I won’t dissolve in docility when you embarrass us in dog class. But yes, I’ll figure the fault is yours, not mine; we Dandies have our pride to preserve! Tell us: What dogs make the best dogs for first-time dog owners? What was the first dog you ever had? Thumbnail: Photography courtesy Anna Wallace, Liberty Run Kennel. 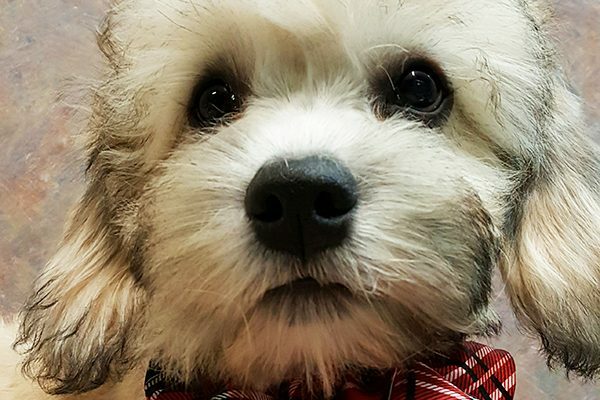 The post The Best Dogs for First-Time Owners appeared first on Dogster.